Fantastic renovated home located in a wonderful, historic, fun, active, and beautiful Mount Vernon neighborhood. WALK to Potomac River! Circular driveway for lots of parking, hardwood floors in foyer, living room, and dining room. Gourmet kitchen with stainless steel appliances, granite counters, and loads of 42" cabinets. Breakfast bar and separate dining area. Main level master bedroom with fully renovated bathroom with separate tub and shower, up 7 stairs to the 2nd master bedroom with renovated full bath and covered balcony over looking back yard, and 2 other big bedrooms and another renovated full bath. Down to the fam room that has a pool table that may convey, wood burning fireplace and mantle, a bedroom and 1/2 bath. The fam l room level walks out to the patio and fenced back yard. From the lower level there is 7 steps that will take you to the basement level with another hang out space, and laundry room. New roof and HVAC, loads of space, and easy commute. Directions:Alexandria south to GW Parkway, Right on Vernon View Dr., circular driveway on left. SchoolsClick map icons below to view information for schools near 9014 Vernon View Dr Alexandria, VA 22308. 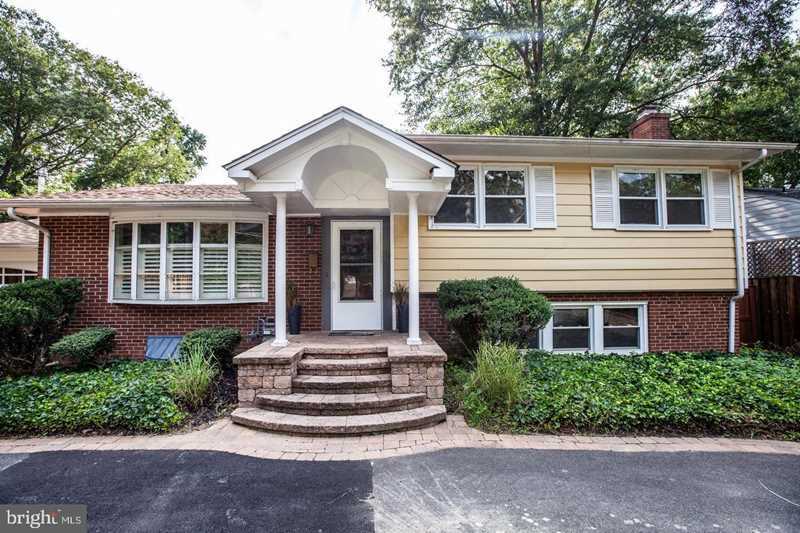 Home for sale at 9014 Vernon View Dr Alexandria, VA 22308. Description: The home at 9014 Vernon View Dr Alexandria, VA 22308 with the MLS Number VAFX867440 is currently listed at $645,000 and has been on the Alexandria market for 77 days. You are viewing the MLS property details of the home for sale at 9014 Vernon View Dr Alexandria, VA 22308, which is located in the Stratford Landing subdivision, includes 5 bedrooms and 4 bathrooms, and has approximately 2750 sq.ft. of living area.